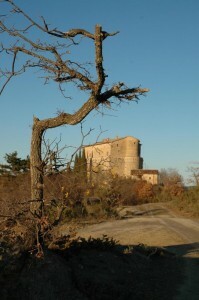 The Rocca d’Aries, near Montone, has very ancient origins: it was erected by the Fortebracci family on the ruins of an old fort which defended the early population. 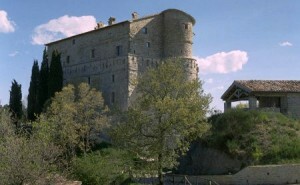 The fortress has undergone the historical events of Montone over the centuries, taking both defensive and residential functions; from the 16th century however it became independent from the Umbrian hamlet. It has a rectangular plan and a circular tower on one side; several changes have been made to adapt it to residential purposes, although it still maintains intact its massive fortified structure. The fortress is known from the 9th century, but its story became tied to the Fortebracci family since 1376. In that year Oddo III, the father of the famous Braccio, conquered it and took it back to the control of the nearby Città di Castello. After a few years, the magistrates of Perugia took back the property and decided to make Rocca d’Aries much more massive to make it impregnable. The management of the work was entrusted to Oddo III Fortebracci, since he was very capable. The building was completed in 1380; in the following years, it was always a source of conflict between Perugia and Città di Castello because it was considered unlikely to be attacked. 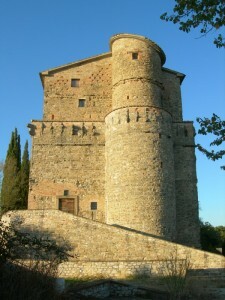 In the 15th century, the fortress became a possession of Braccio, who became absolute lord of a large part of Umbria. 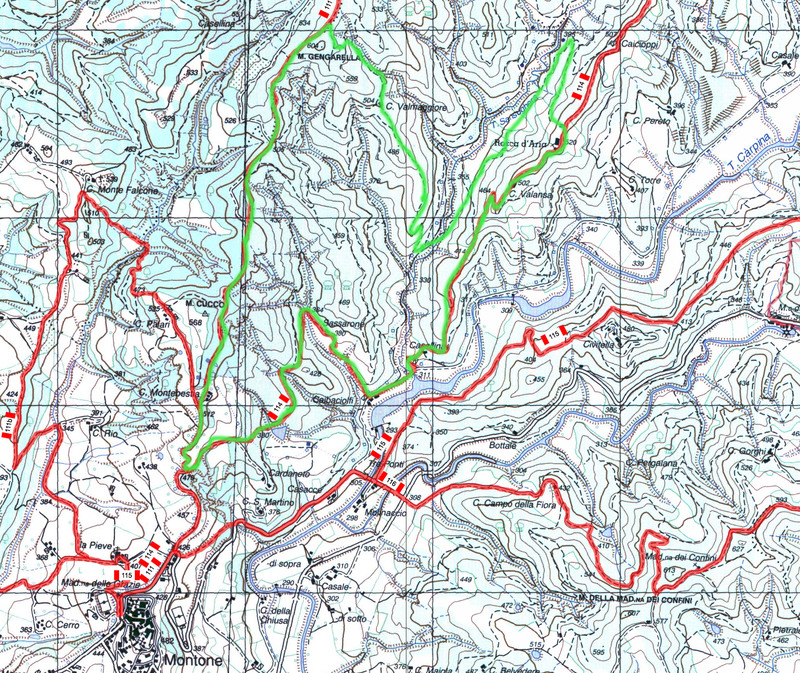 His family often resided there, in particular his wife Nicola Varano. In the 16th century, the property of the fortress moved to the Bentivoglio family and the last news about it dates back to 1596, the year in which the fortress was attacked by six hundred bandits who, in that time, were running around the territory of Gubbio and caused a lot of damage. Meanwhile, the ownership of the fortress changed: the Bentivoglio sold it for 15,000 roman ecus to the Count Giambattista Cantalmaggi and then, by hereditary rights, the fortress changed over to the Della Porta family. In the 1980s, the fortress was still owned by this family when the Region of Umbria bought it.